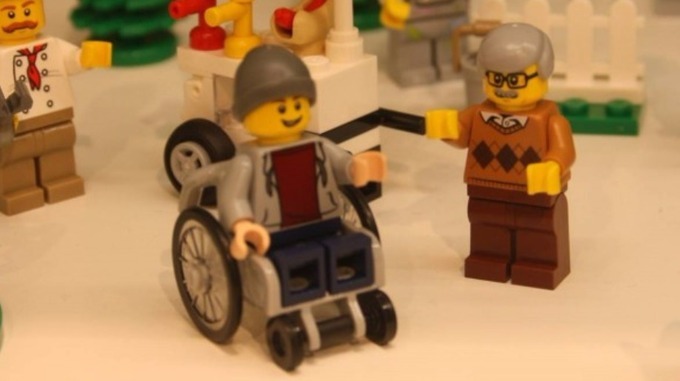 Lego has unveiled its first ever minifigure in a wheelchair. The beanie-hatted character, which debuted at the Nuremberg and London toy fairs, was pictured alongside a helper dog in a park scene alongside an ice-cream vendor, cyclist and park-goers. The figure will go on sale as part of Lego’s City range from this June, a spokesperson for the toy firm told ITV News. Lego has been praised for the move having been criticised in the past for its lack of diversity in its figures. The #ToyLikeMe campaign was launched last year and a petition calling on Lego to release more disabled figures attracted more than 20,000 signatures. The campaign’s co-founder Rebecca Atkinson acuused Lego of “excluding 150 million disabled children worldwide by failing to positively represent them in its products”. “We’ve got genuine tears of joy right now…Lego we salute you!”. Full the full story from ITV click here.